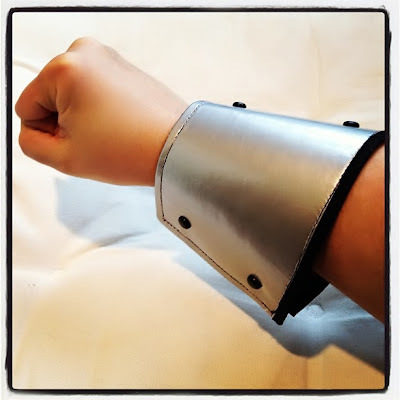 I made more superhero bracers! 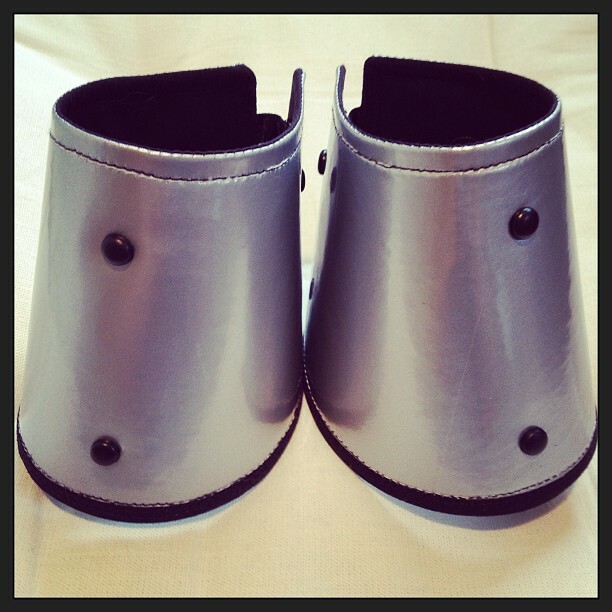 Okay, so these could also work for a bad guy. These bracers are made from shiny metallic silver vinyl, lined with black cotton. There are two snaps for closures.